…begins with a single race registration. Holy crap. I registered for a race. 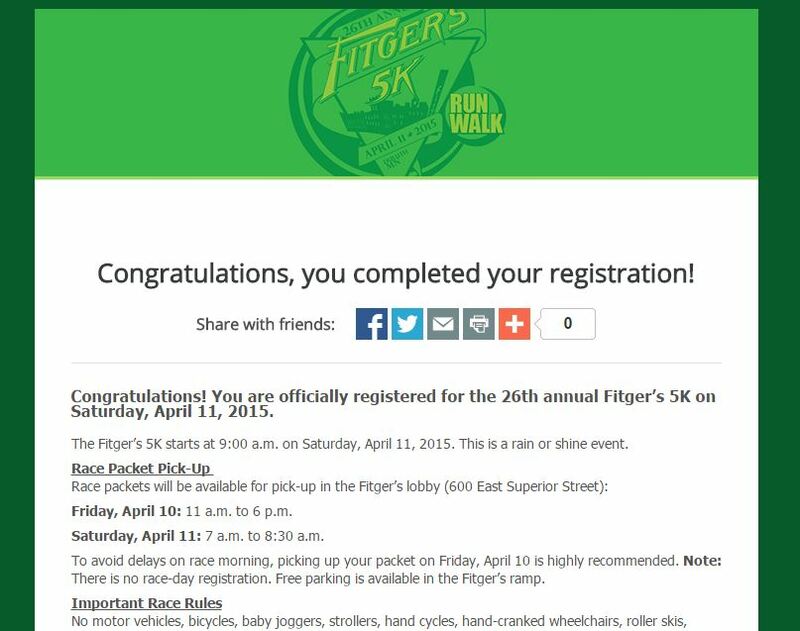 The Fitger’s 5K is April 11th, which means there will probably be a foot of snow on the ground. It is also far enough in the future that I should be a tiny bit faster. I joked to the Grandma’s Marathon Twitter account that I would be coming in DFL (Dead F**king Last), but I don’t really believe that. I looked at last year’s results and am confident that I would be able to avoid DFL. Maybe not in my age group, but overall, yes. Even running with my self-imposed heart rate restrictions, even running on the treadmill, I am above the pace of the last finishers from last year. So, that’s already checked off the list. Now I just have to figure out how to run in the morning, and how to speed up a little so I’m not in the stragglers at the back. And how to avoid chickening out and skipping the race. Posted on 21 January 2015 by RWD	This entry was posted in Uncategorized and tagged 5K, Duluth, Fitger's 5K, running, slow running. Bookmark the permalink.